IWASSA Co.: A team of researchers in the field of information security manage to get through the car "Tesla Model S"
A team of researchers in the field of information security manage to get through the car "Tesla Model S"
A team of researchers in the field of information security at the University of "Zhejiang" in China hacked electric car Tesla Model S successfully, although it did not provide 10 thousand dollars that have been identified as a prize for those researchers in a seminar on information security in the Chinese capital Beijing, and that because they could not penetrate a car Tesla Model S in the specified time frame. This group was able to penetrate car Tesla Model S by exploiting a loophole "design flow", which allows them access to many of the things in the car, including door locks, car horn, and controls in the windows, and he was able to access all of these things while the car Tesla Model S is going. 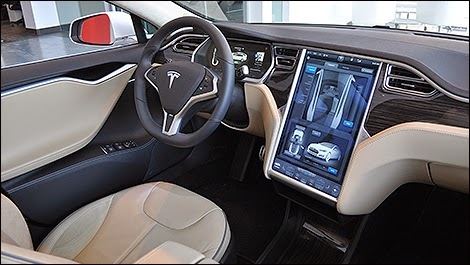 Do not be afraid to Tesla Model S car of your own, it has been reported that these researchers have communion with Tesla on this vulnerability, and no doubt that the company, led by Tesla Chief Executive "Elon Musk" will work to fix this vulnerability that enables hackers to exploit.